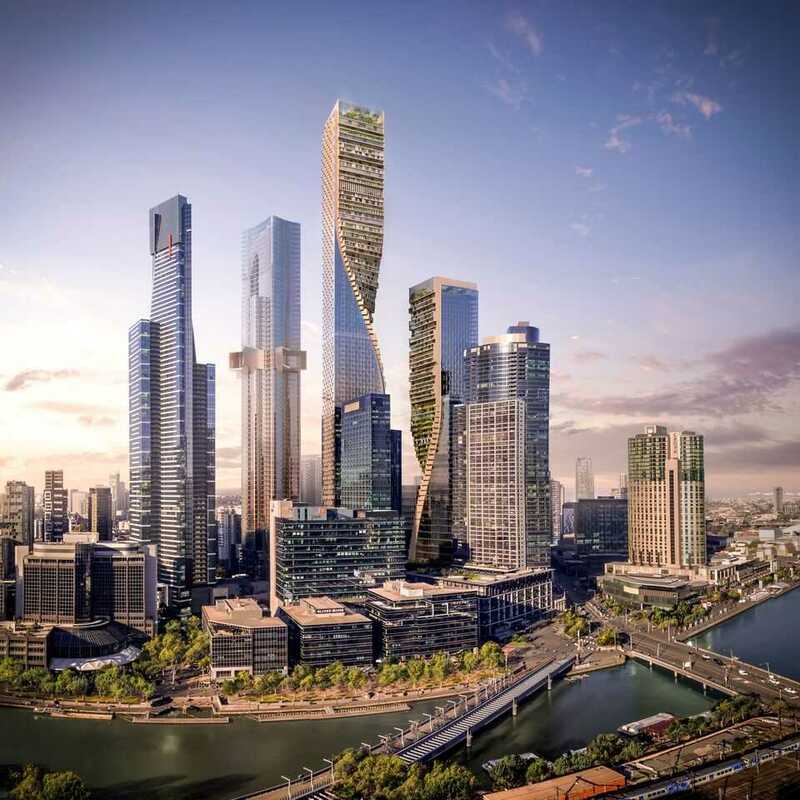 Twisting twin towers to be known as the Green Spine will grace the Melbourne skyline in the not too distant future. A Dutch - Australian architectural consortium comprising UNStudio and Cox Architecture were named winners of the $1.4 billion “Southbank by Beulah” competition on August 15. The competition required competing architects to envisage a mixed-use lifestyle area with space for retail, residences, a 5-star hotel, cultural areas and green spaces. One of the objectives of the competition was to discover an architectural design which avoided the glass, box-like buildings common in Melbourne’s CBD which some might argue are a disconnect with the city’s historic parks and natural local environment. The complex will be built at 119 City Road, Southbank in Melbourne and the mixed-use precinct will provide in excess of 220,000 sq.m. of floor space together with 23,000 sq.m. of public space in what will be Melbourne’s tallest building. In 2017 Beulah International Pty Ltd purchased the 6,061 sq.m. site currently occupied by a BMW dealership in a transaction reported to be more than $100 million. The proposed structures will be a series of stacked vertical platforms with verandas and terraces and will feature extensive plantings. Each tower will be topped by a public garden and a lower podium is intended to engage with the public. The podium concept incorporates stacked platforms which connect the two towers and includes retail space, school, day-care center, library, cinema and public parking. The taller 356.2 meter tower will be entirely residential and the smaller tower at 252 meters will include the hotel etc. UNStudio is based in Amsterdam and Shanghai and its principal architects are Ben van Berkel, Caroline Bos, Harm Wassink, Gerard Loozekoot and Astrid Piber. Cox Architecture was founded in 1967 by Phillip Cox in 1967. It is a large Australian based practice operating internationally. There were five other short-listed entries by top ranked architectural firms from around the world including MAD Studio based in Beijing , BIG (Bjarke Ingels Group) based in New York, OMA (Office for Metropolitan Architecture – Rem Koolhaas), and MVRDV based in Rotterdam & Shanghai, Coop Himmelb(l)au Coop Himmelb(l)au (himmelblau) based in Austria.